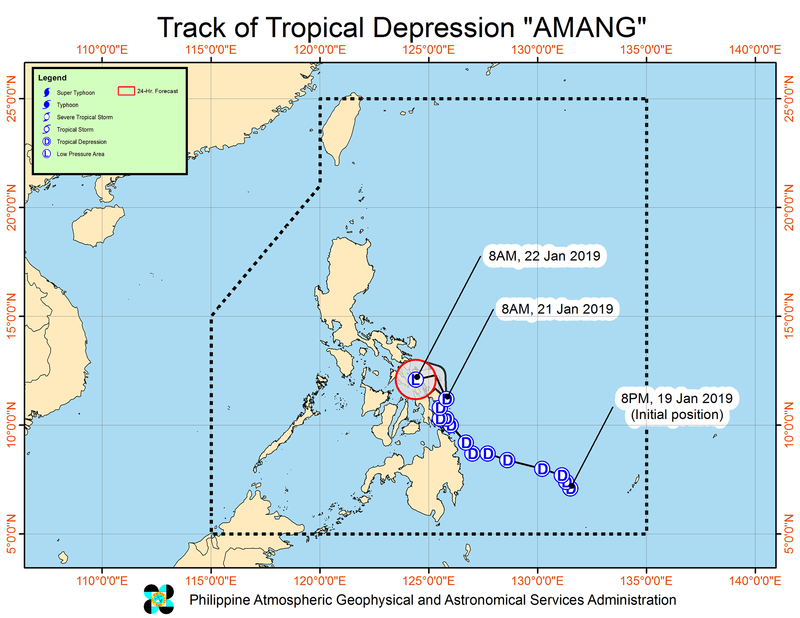 The Philippine Atmospheric, Geophysical and Astronomical Services Administration (PAGASA) late Monday morning lifted the storm signal over the eastern part of Bohol as Tropical Depression Amang continued heading north towards Samar. According to PAGASA, storm signal over Southern Leyte, Bohol, Northern Cebu, Surigao del Norte and Dinagat Islands were lifted as of 11 a.m.
Sea travel in Bohol meanwhile has returned to normal except for trips bound for Leyte which remained under Storm Signal No. 1, said Seaman 2nd Class John Sinajon. Vessels from the Jagna port have been cleared for travel after these were grounded starting Sunday afternoon. Sea travel from Tagbilaran City remained unaffected as the western part of the province was not placed under a storm signal. For his part, Desiderio Delegero of the Department of Education in Bohol, said that classes which were suspended for the day will resume on Tuesday. “Ugma nalang jud na mobalik sa ilang mga klase kay nahinayak naman pod ang mga maestro og pauli sa ilang balay ug mga studyante, late naman pod ta nakahibaw nga wala na diay signal number 1 ang Bohol,” he said.